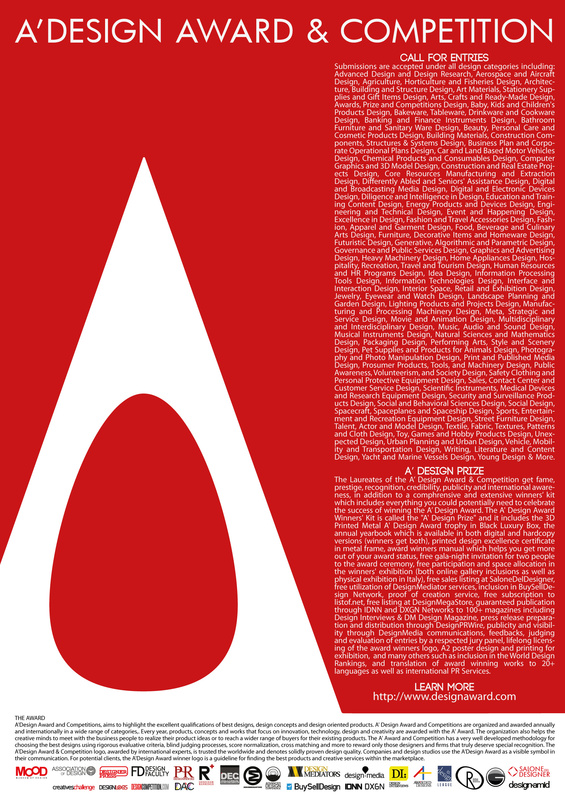 Every year, projects that focus on innovation, technology, design and creativity are awarded with the A' Design Award. Entries are accepted annually till February 28th and results are announced every year on April 15. Designers worldwide are called to take part in the accolades by entering their best works, projects and products. Entries are accepted as long as they were designed in the last 10 years. • Download our press kits or editorial images. Save the Date. 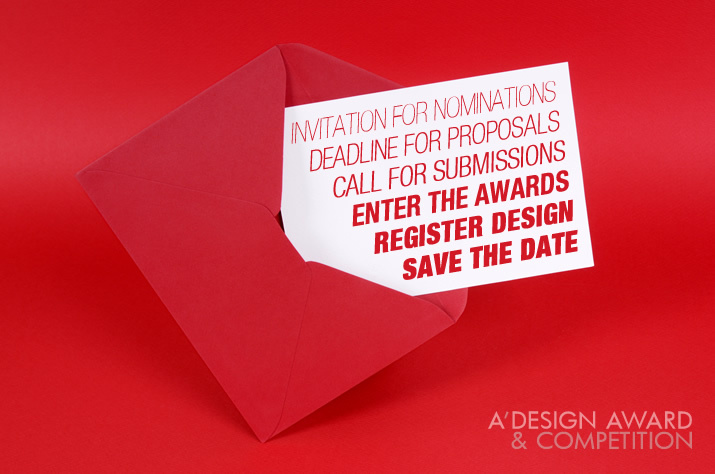 Call for Nominations to all design award categories are ongoing, but most importantly, remember to submit your designs as early as possible to benefit from Complimentary Preliminary Checks.